There are lots of ways you can get involved and help us to raise money, from cake sales to sponsored challenges. Download our fundraising pack for more ideas and information. You can also download our sponsorship form. Interested in taking part in a sponsored event? 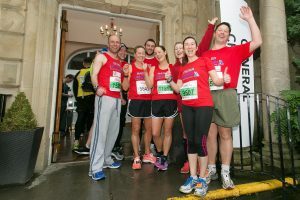 We still have spaces for the Bath Half Marathon 2019 which takes place on Sunday 17th March. It's set to be a big one with a record number of charities taking part in the event and general public entries selling out quicker than ever before. The Bath Half is the biggest fundraising event in the South West and has raised over £25 million for charity since 2000. Each year, 15,000 runners take to the streets of Bath to support hundreds of fantastic causes. Lifeskills has 30 places for the race, our highest number since our first entry in 2016. The registration fee is £35 and the fundraising target is £300. Are you up for the challenge? Click here to register. We will offer you support on your fundraising journey, including advice on how to reach your fundraising target, and training tips to ensure you are ready for the big day. The course is flat and fast which is welcomed by runners and perfect for those who are participating in a half marathon for the first time. We will also be there to cheer you on along with thousands of other spectators come rain, snow or shine! Your efforts will provide thousands of primary school children, older people and adults and children with Special Educational Needs with the opportunity to develop life-saving safety skills. Our goal is to reduce accidental injury and promote healthy, safe and independent living, but we need your help. If you would like more information about what we do, please contact us. 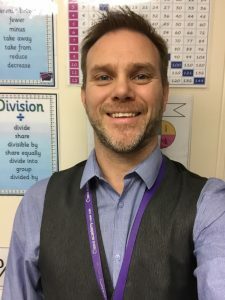 "I currently work as a Key Mentoring Tutor/Teaching Assistant for a local primary school. In October of each year, we bring our year 6 children to the fourth floor of the Create Centre and never get tired of the 'buzz' on the coach during the journey home. Lifeskills really does strike a positive chord with all who are lucky enough to get involved. In July, when reflecting on the academic year, our pupils still remember the ‘smoke filled room’, ‘the train tracks’, ‘the scream from the dark alley’ and much, much more. In just one morning, our pupils encounter, learn and retain skills that will keep them safe, make them wiser and potentially save a life! On a personal note, I wish Lifeskills was an option when I was at school. In my early 20s, my father came home from work one evening and suffered a fatal heart attack. I was powerless, I simply did not have the skills or training to attempt to save his life. Even though the paramedics tried in vain, perhaps earlier intervention on my part may have been enough. It is the memory of my father and the privilege of running for Lifeskills that will help see me through my very first half-marathon. Lifeskills really does save lives." You can support Steve by donating here.